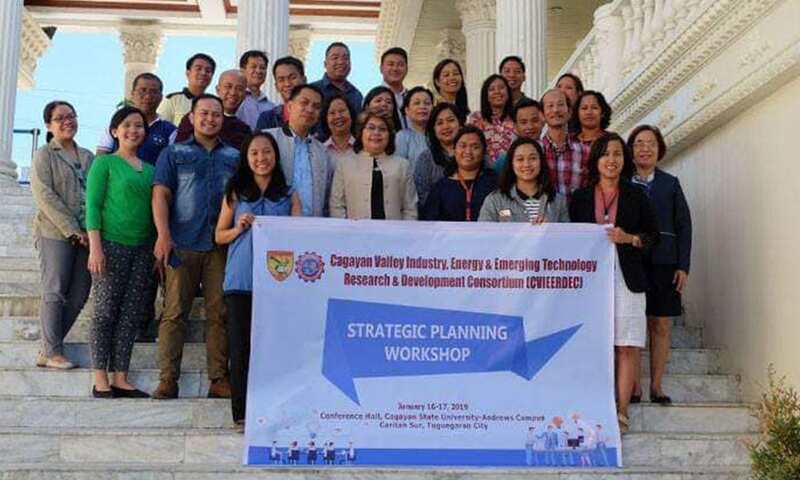 The Cagayan State University hosted Cagayan Valley Industry, Energy and Emerging Technology Research and Development Consortium (CVIEERDEC)'s Strategic Planning Workshop last January 16-17, 2019. The 2-day conference was attended by representatives from all its associates from government agencies (DOST R02, CHED R02, DTI R02, DBM R02, & NEDA R02) to educational institutions (Nueva Vizcaya State University, Quirino State University, Isabela State University, St. Paul University of the Philippines â€“ Tuguegarao, St. Louis University â€“ Tuguegarao, & Medical Colleges of Northern Philippines â€“ International School of Asia and the Pacific). The aim of the consortium was to specify the organizationâ€™s objectives, develop requisite policies, and plan for the allocation of resources for the next five years. The key aspects that were considered include Research and Development, Linkages and Resource Generation, Technology Transfer and Capability Building.